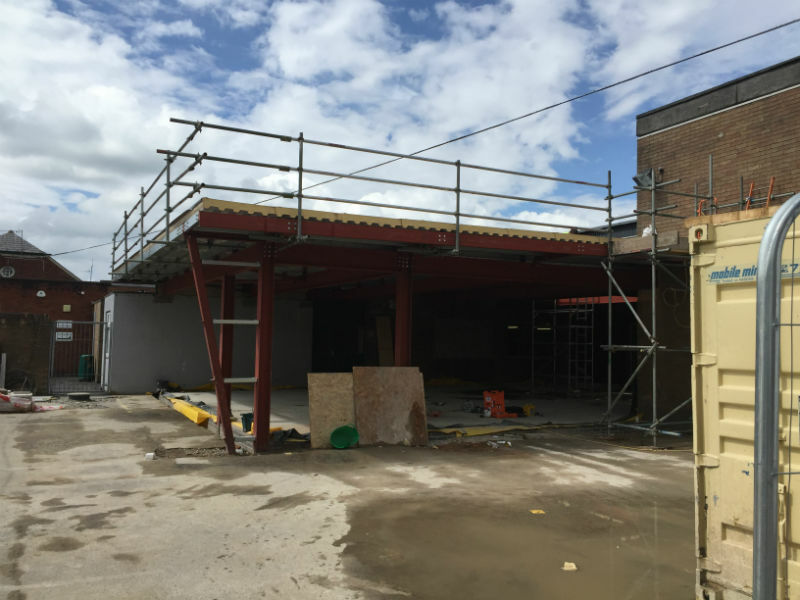 The work at Ribblesdale High School comprised of the construction of a single storey dining room extension building and internal alterations, together with associated mechanical, electrical, and external works to complete the scheme. 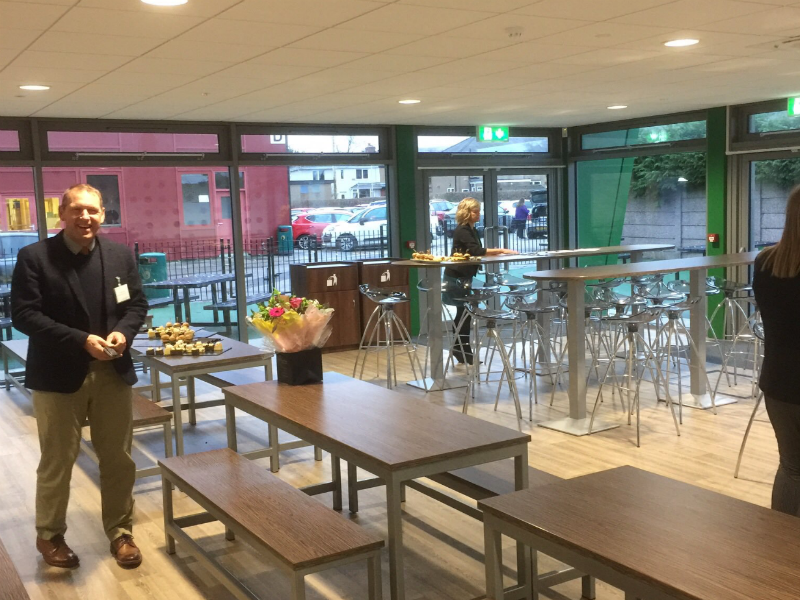 The proposal was to create a large, modern and airy dining space to accommodate an increase in pupils as the school is expanding, incorporating new and updated serving counters and equipment. 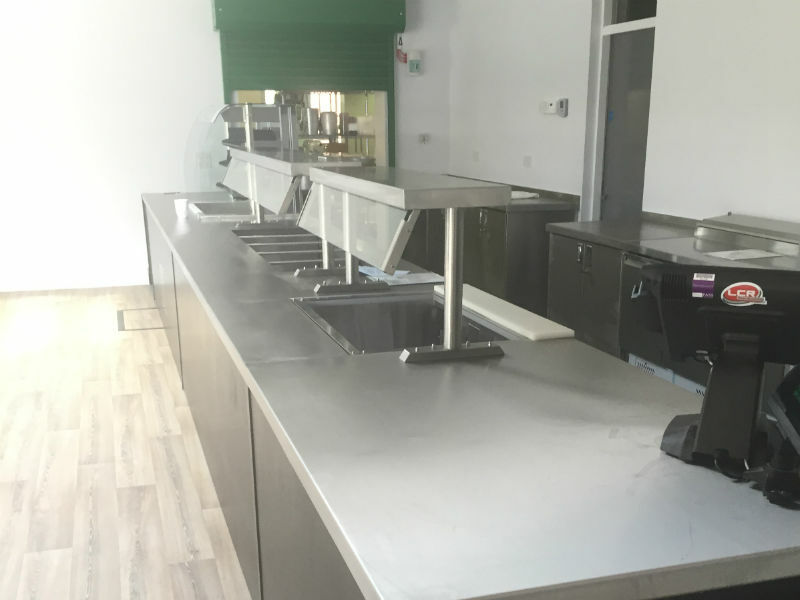 Rosslee Construction had already carried out a previous scheme to refurbish and modernise the kitchen and food preparation areas. 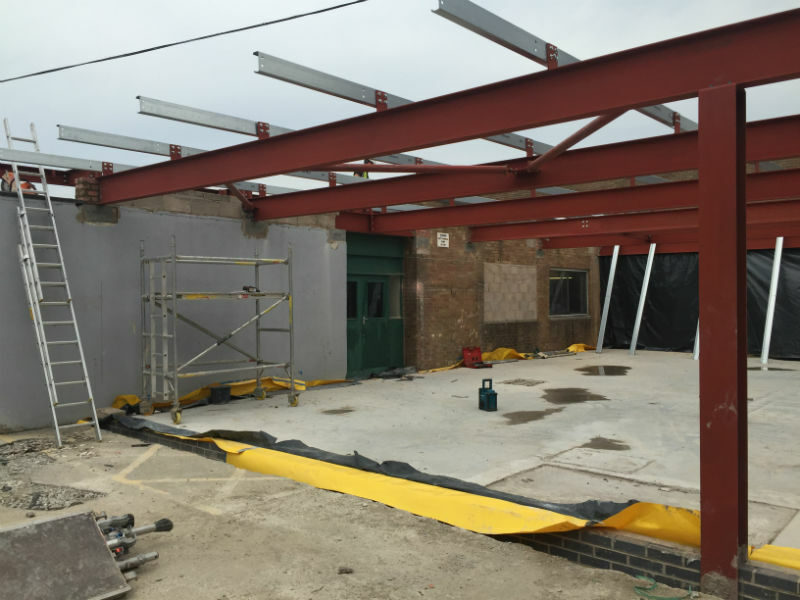 The construction is a steel frame connected to the existing building with an insulated cladded roof, large curtain wall glazing on two sides and with roof-lights to provide a maximum amount of natural light and linking the interior to exterior paved dining spaces under overhanging canopies. 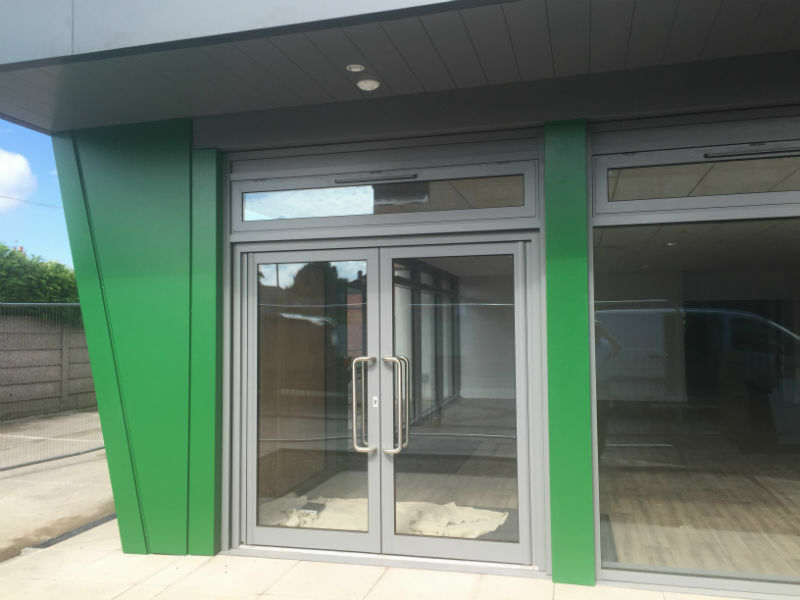 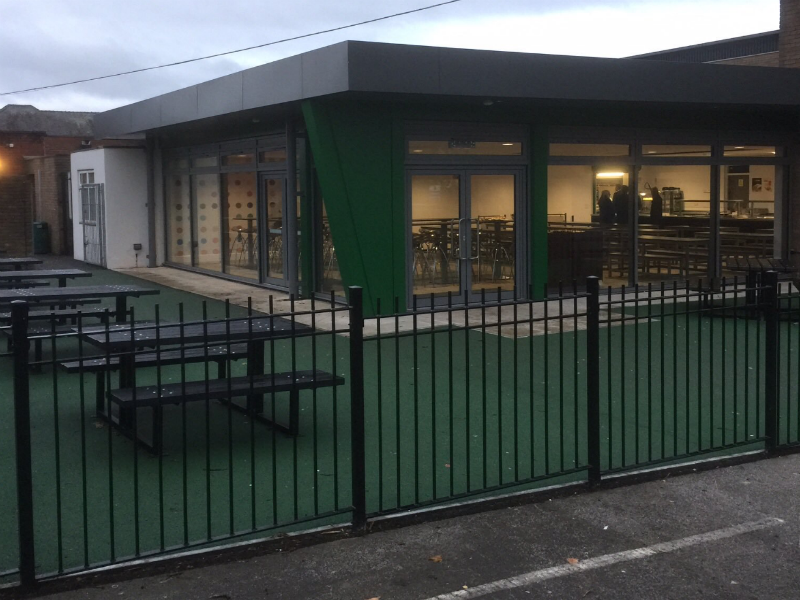 External finishes include Kingspan grey roof cladding with matching fascias, grey curtain walling, with contrasting emerald green feature panels and columns to reflect the school colours. 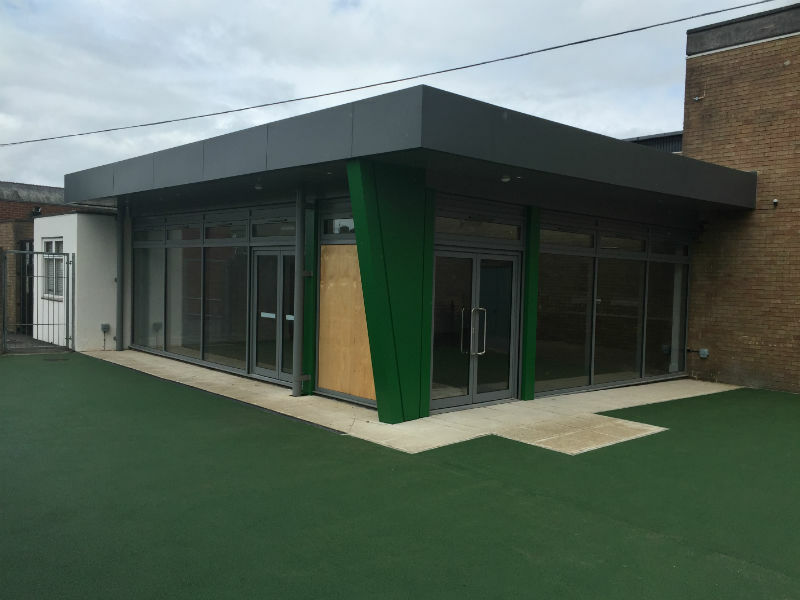 The external appearance is further enhanced with paved sections alongside coloured tarmac areas in green to complement the building. 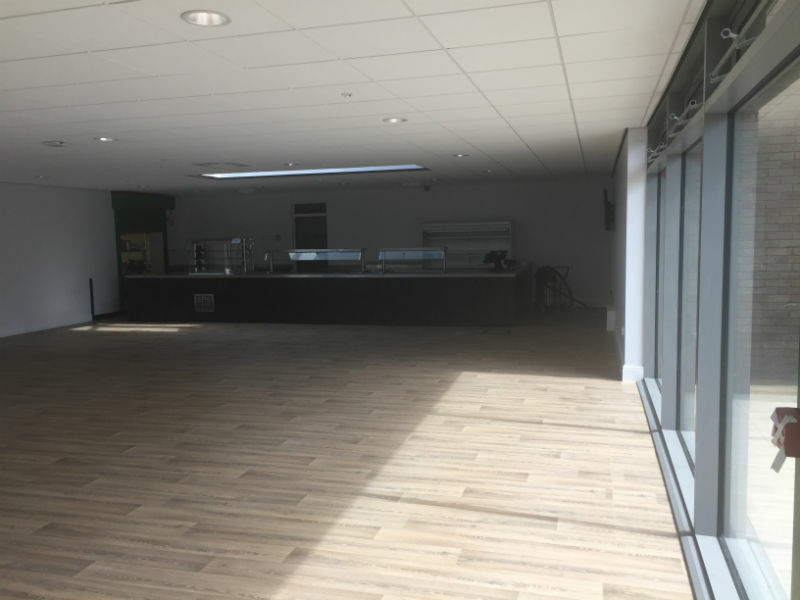 Internally the finishes include a suspended ceiling with integrated heating panels and large glazed roof-lights, wood effect limed ash vinyl flooring, light-coloured walls now enhanced with school logos and murals, together with a new suite of modern stainless steel servery counters. 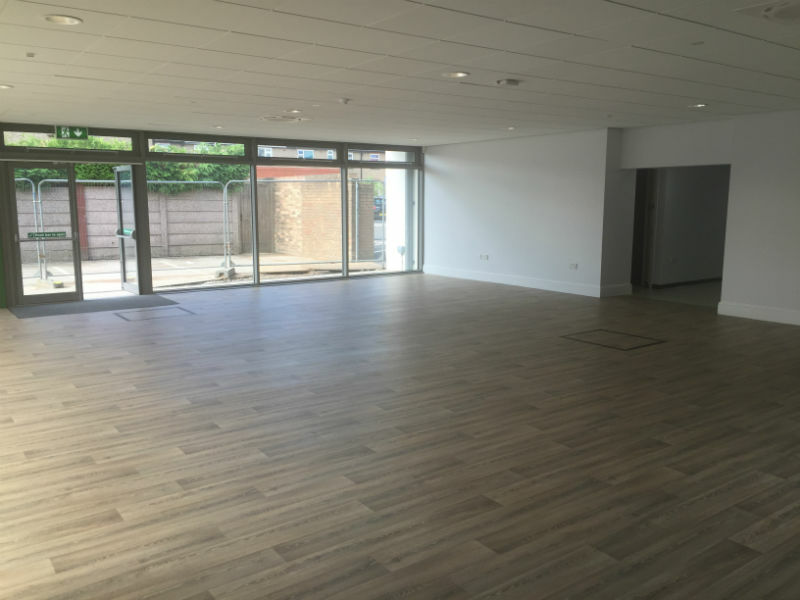 The overall effect was entirely as required and to the satisfaction of the school and the project designers. 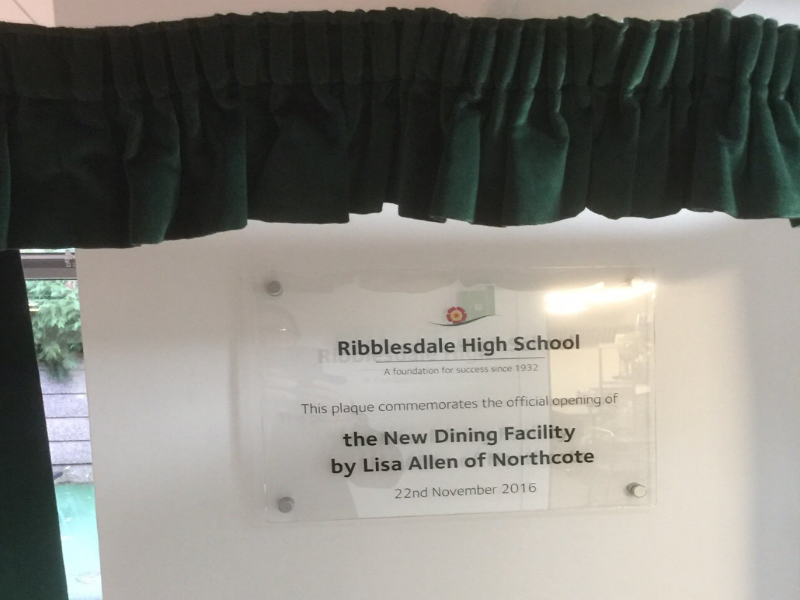 The new facility was officially opened on 22nd November 2016 by Lisa Allen of Northcote Manor.